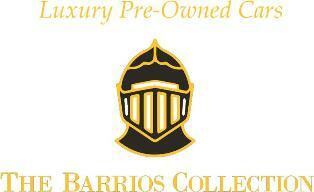 Atlanta, GA - The Barrios Collection has the collection of classic cars for sale in Atlanta. The company has recently expanded their inventory. Now, their collection includes Porsche, Oldsmobile, Mini, Mercedes-Benz, Lexus, Land Rover, Ford, Chris Craft, Chevrolet, BMW, Bentley and Aston Martin. Now, as the spring is fast approaching, they now have some new spring working hours to provide better service to their customers. The new springtime hours include Tuesday, Thursday and Saturday from 11 am to 6 pm and Monday, Wednesday, and Friday only by appointment. They have their office closed on Sundays. Now, they have a larger inventory of low mileage luxury, exotic and classic cars for sale in Atlanta, GA . They have a growing inventory of vehicles at competitive prices. They ship their vehicles across the world. They invite the customers to check out the growing inventory. For those planning to shop for Georgia luxury cars, they can begin their classic car collection from this dealer. At Barrios Collection, they rightly understand that finding the perfect combination of an affordable and quality vehicle can be hard. So, the company has made it their goal to provide prospective customers at Atlanta and the surrounding areas with the best possible buying experience.